Attracted by this Vintage Bike? 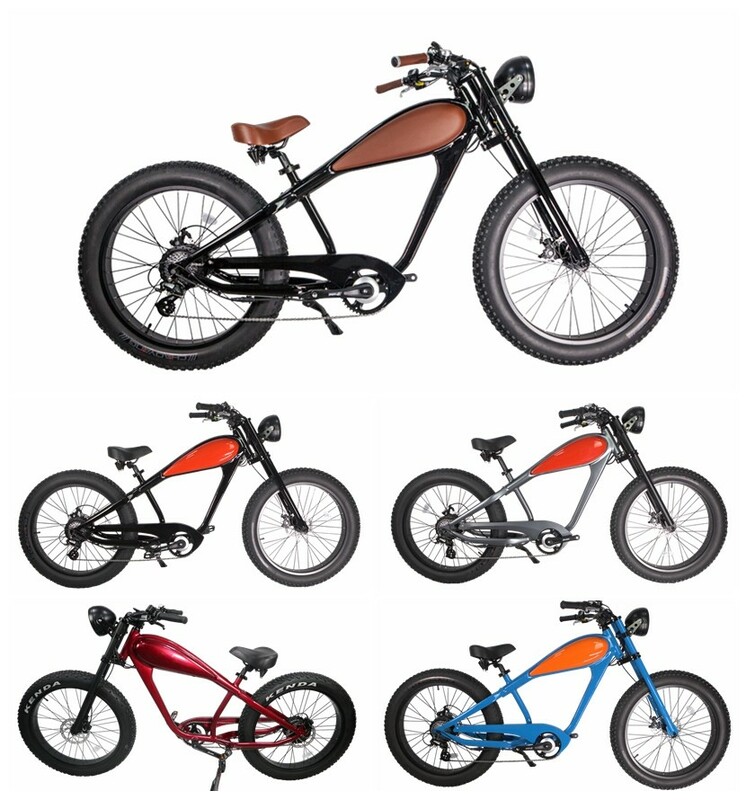 Now you can have your own vintage electric bike at an affordable price. 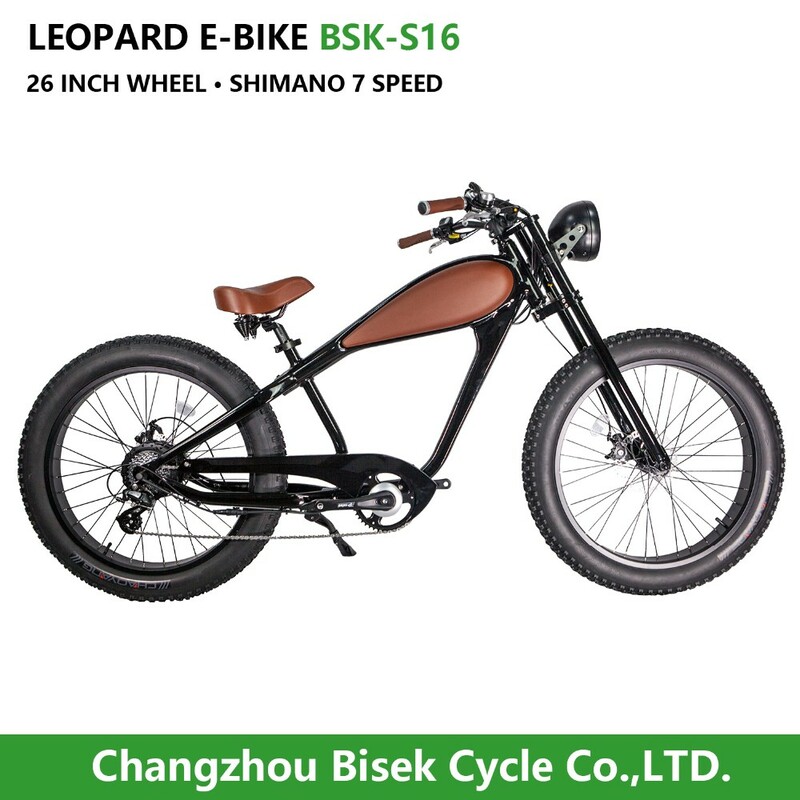 Leopard is designed and made by Bisek Cycle. We own full intelligent property of it including design patent in both China and United States. To make it happen, we invested hundred thousand US dollars to tooling. You cannot find it available in open market. 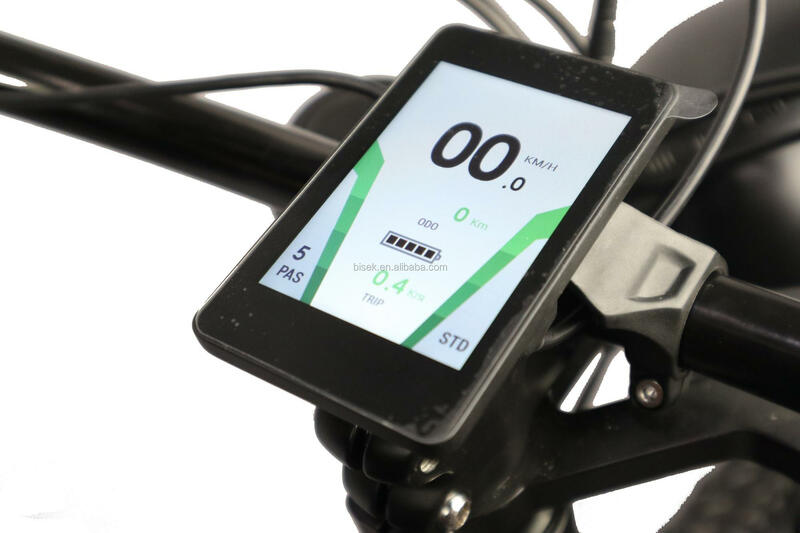 With this fancy display, you can read all parameters you need to know when riding. Our own designed battery box is placed in the "tank". Individual power switch and charging port is underneath the cover. Usually we don't suggest users to open the cover, considering water-proof performance. For professional users, they can open the cover easily by removing 4 bolts underneath the cover. We know how important it is to equip a capable braking system for such a big guy. 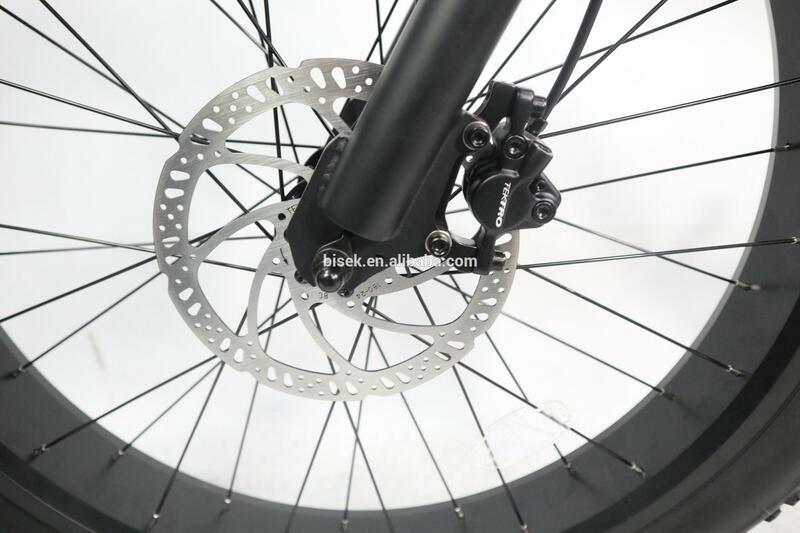 We use hydraulic brake with 180mm brake disc to provide it with excellent braking performance. 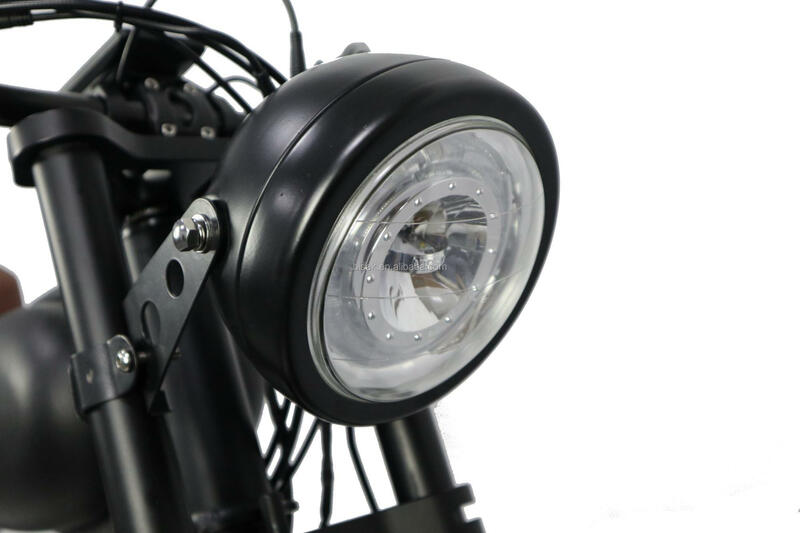 With 48V 500W or 750W BAFANG brushless gear motor, it provides riders with Max. 80 N.M torque and up to 40kph(25mph) speed. 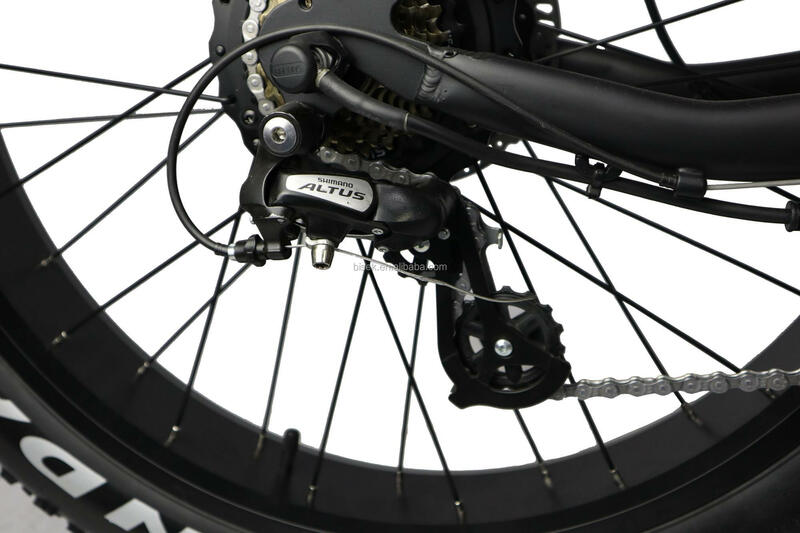 The Shimano Altus rear derailleur features an advanced light-action, long-cage design with Teflon-coated bushings. One pc per seaworthy carton. We will make a pallet and fill in foam to ensure your bikes safety during shipping. 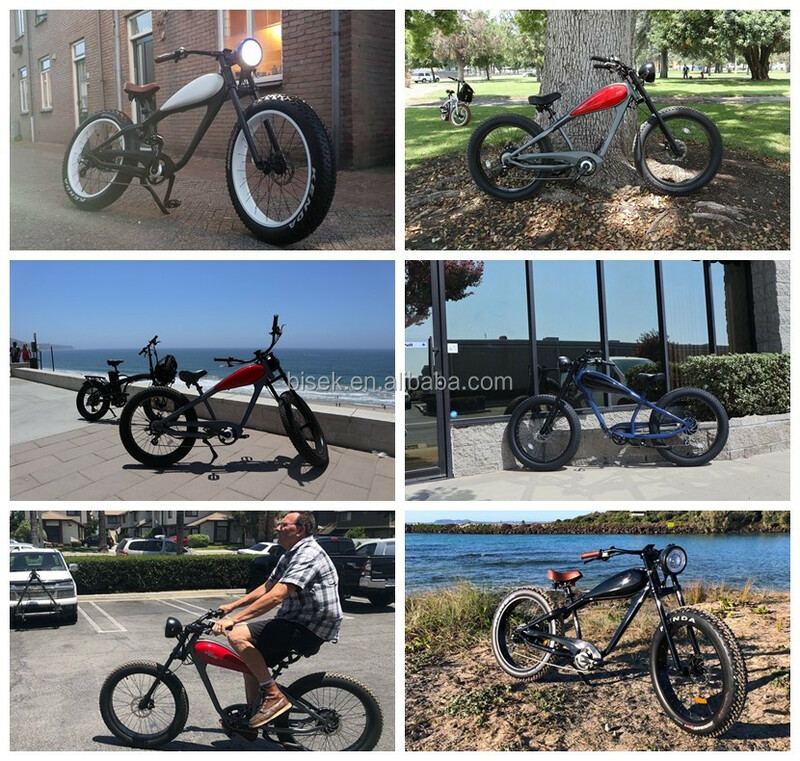 We can ship the ebikes to you by air or by sea. For one piece, we suggest ship it by air or express. 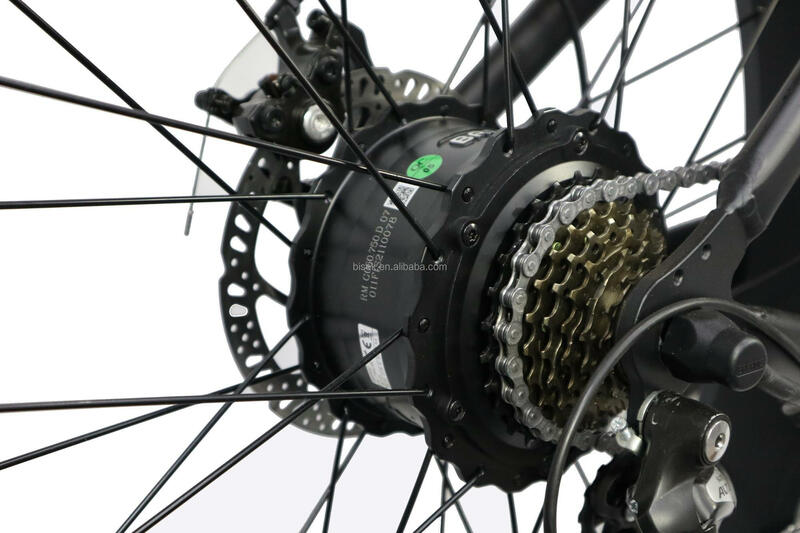 So you can receive your ebikes sooner and more conveniently. For large order, we suggest ship it by sea. So you can save a lot shipping freight loss. We can also accept DDU if you are not familiar with the customs clearance. Bisek will try best to serve you! 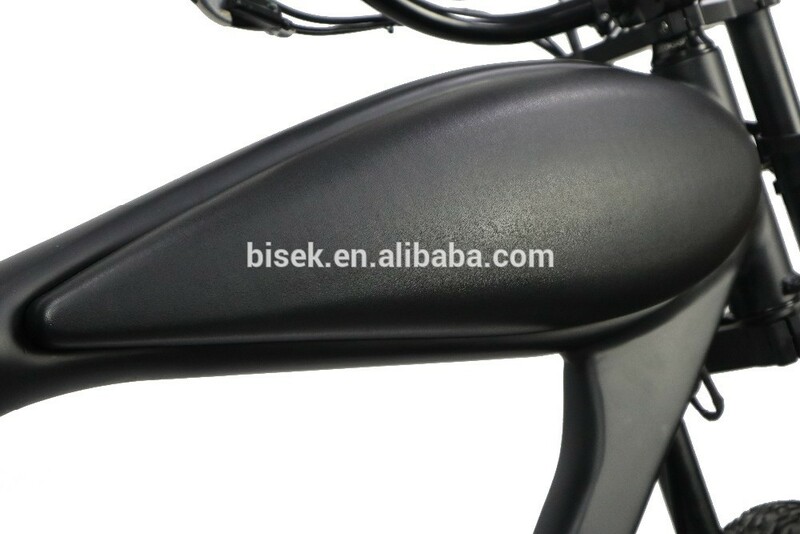 BISEK company established in 2014, we are manufacturer and trader specialized in electric products. 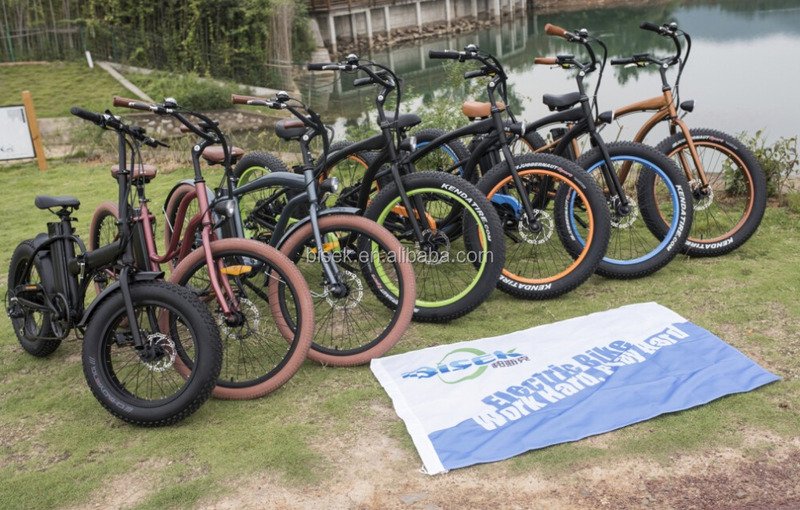 We mainly offer motors, electric bicycles, electric vehicles and its spare parts, bicycle and its spare parts, such as battery, display, tire, tube, charger and so on. All of our products can comply with international quality standards and are greatly meeting in a variety of markets around the world. For example, we have EN15194 European certificate, CE certificate and ROHS certificate. These certificates ensure us can enter into any country. We are located in Changzhou city, Jiangsu province, which is about 200km from Shanghai city, and 120km from Nanjing city. Our company regards "Quality first, Consumers first, as our tenet. If you are interested in any of our products or discuss a customized order, please feel free to contact us and kindly get back your comments to us. We are sure any of your feedback will get our prompt attention & reply. We are looking forward to establishing successful business relationships with clients all over the world. BISEK will do our best to provide the customers with the latest products, competitive price, first-class quality and VIP service. 2. 1% FREE spare parts are provided to you each order at your requests for aftersales service, and any other extra parts are sold at EXW price. 3. If the products you received have quality problem or the package is broken, pls take the photos of it and feedback to us, we will provide solutions to solve it asap. 4. All of our products approved the SGS(CE) and EN15194 certification. You can not only ride it as ordinary bike but also choose battery powered mode when you get tired, and you don't need to get a license and pay extra fees such as parking fee. 2.Can I order some samples at first to see the quality? No problem, sample order are welcome to quality test, if <10pcs,needs extra $100 sample fee and it will be returned in next batch order. 3.Can you deliver samples by sea or air? Both are available. You can inform us your destination port firstly, then I will help you check the shipping cost and suggest suitable delivery way to you. 4.Can you change components for me? Surely, our tenet is "Quality first, customer first". We must modify it at your requests with the technical support. Changzhou Bisek Trade Co., Ltd.